Maintaining clear vision is an important part of your pet’s lifelong health. Pets are highly alert and often communicate through visual cues, so it is important to make sure their eyes stay as healthy as possible. 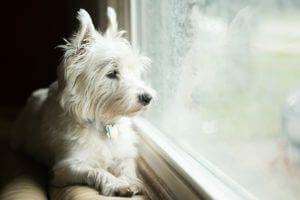 Dr. Gwen Sila, a board-certified veterinary ophthalmologist for BluePearl Veterinary Partners, explains the basics of lifelong eye health in cats and dogs: Eye health begins when your pet is young. Petting the area around the eyes of your puppy or kitten will help your pet feel more comfortable with eye exams and eye drops later in life. Make sure your pet’s eyes are looked at by a veterinarian every year, or twice a year for senior pets. Your veterinarian should check for abnormal tear production, eye pressures and discharge. In between veterinary visits, make a habit of checking for excessive eye discharge, cloudiness in the eyes or redness in the “white” part of your pet’s eyes. If you notice these signs with no improvement in 24 hours, contact your veterinarian or a veterinary ophthalmologist. At BluePearl, our ophthalmologists see many cases of glaucoma, dry eye, cataracts, ulcers and uveitis. Although some eye illnesses cannot be prevented, annual eye exams give your pet the best chance at a good prognosis. Some breeds are more prone to illnesses than others. West highland terriers, King Charles Cavalier spaniels, shih tzus and cocker spaniels are particularly prone to glaucoma. Basset hounds, huskies, malamutes and mixed breed dogs are more likely to experience dry eye. Common eye emergencies include deep corneal ulcers and severe cases of glaucoma with elevated pressure in the eyes. 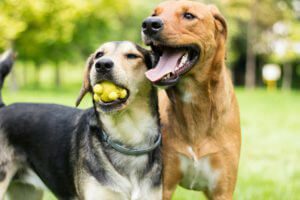 Pet emergencies left untreated could lead to a loss of vision. Another important aspect of lifelong eye health is protection from the sun. UV light from the sun could be linked to certain pet eye illnesses such as cataracts. If your pet spends a lot of time outdoors in the sunlight, you may want to consider eye protection such as sun goggles designed specifically for pets. There are no long-term supplements or additional nutritional requirements needed to support lifelong eye health in pets. However, some pets may be prescribed artificial tears for eye illnesses. All of us love “puppy dog eyes” and the bold colors in a cat’s eyes. Regularly check for signs of eye disease to keep your pet’s eyes beautiful and functional. For a pet emergency, please seek immediate veterinary care at an emergency hospital near you.